We chat to Wes Anderson's muse actor Jason Schwartzman about playing prickly characters, new film Listen Up Philip and the wisdom of Bill Murray. 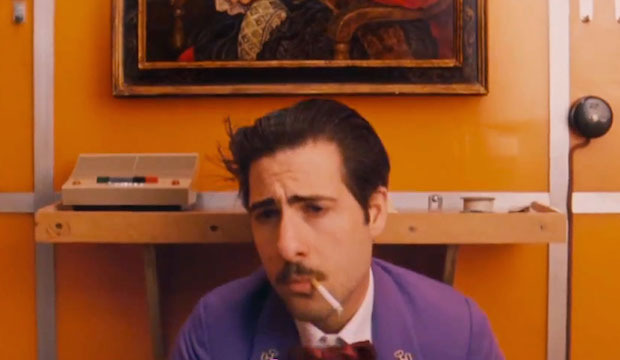 Among the clan of recurring actors in Wes Anderson films, Jason Schwartzman is perhaps the director's favourite. The LA based actor is best known for his regular collaborations with the famed director of The Grand Budapest Hotel, whose other films Rushmore, The Royal Tenenbaums, Fantastic Mr Fox – to name but a few of the Wes Anderson films Jason Schwartzman has starred in – have received constant and considerable attention. Now Anderson's protegé has flown the nest to make a low-budget indie flick, Listen Up Philip, with up-and-coming young director Alex Ross Perry. Jason Schwartzman plays a prickly, self-involved writer (loosely based on novelist Philip Roth) whose relationship with long-suffering girlfriend Ashley (Elizabeth Moss) is in steep decline. The film's coming out in London next week – an unapologetic and darkly comic portrait of the extremes of selfish behaviour, which premiered at Sundance Film Festival 2014 to enthusiastic reviews. Schwartzman has often been cast in deadpan roles and Listen Up Philip continues the trend that began when he was just fifteen, in his and Wes Anderson's first film Rushmore. Jason Schwartzman plays Max Fischer, an eccentric, sincere yet unusually precocious teenager who falls for his elementary school teacher, embarking on a series of dramatic and increasingly desperate feats in his efforts to court her. It's hard not to imagine that these awkward, gawky roles find a home in Schwartzman himself. Is the character of Max Fischer reminiscent of a young Jason, an educated and creative teenager growing up in a wealthy American private school? "I actually had a thing for my nanny at the time – she was nineteen or twenty and I was thirteen. I was infatuated. Pining for someone older than you is not an unusual thing, but when I read Rushmore there was just so much that was similar. I was also student body vice president of my school but I was terrible at it. So there were...some similarities." Schwartzman's family is practically a Hollywood dynasty: his cousin is director Sophia Coppola, his mother Talia Coppola; his father was producer Jack Schwartzman. One would think cinema would have been a natural career path, but Schwartzman was never interested in being in films: he's pursued a musical career from a young age, first as drummer for the band Phantom Planet (remember the O.C. theme tune?) and now releases under his solo project, Coconut Records. "I did love movies – it was a strange divide between super mainstream comedies; very odd movies that just seemed to be playing all the time on cable. But I didn't think about movies in that way. I put all that energy into music." 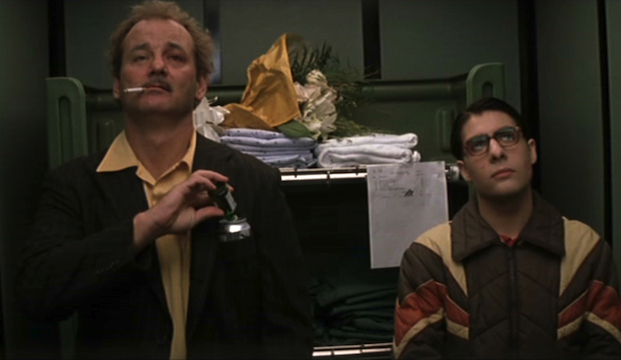 When the script for Rushmore came along, though, everything changed. "That was the first time I remember thinking 'Oh my gosh, I really connect with this. It wasn't this 'thing' I had in common with the character, it was more like a reverberation – I just really related to what I was reading. I remember thinking 'I'm not going to get this part, but I'm very excited to see this movie.'" Schwartzman's latest role as the difficult but highly successful writer in Listen Up Philip is a turn to something darker. With Max Fischer's coming-of-age process there was a sense of personal remorse, but here, there's no apology. Philip is a cruel, self-aggrandising human with no awareness of his flaws. What was it like playing someone so unpleasant? "I was fascinated by the script, and the character...mostly you can't believe someone would say some of these things." To watch Listen Up Philip, one is struck with a mixture of pity and revulsion at Philip's shocking lack of awareness, his unswerving self-importance, and his eventual isolation. "People love to watch documentaries about subcultures. We like anyone who is extreme"
For a mainstream audience, the film is unusually bleak, and reviews for Listen Up Philip have picked up on its unconventionality. One hopes that Phillip will change and learn from his mistakes, but Ross Perry and Schwartzman didn't want to give their character an easy way out. "At the end of the day it's supposed to be funny. Part of what's appealing is that Philip is a character who's extreme and relentless. That's my favourite type of character. I think a lot of people feel that way, that’s why people love to watch documentaries about subcultures. We like anyone who is extreme." "I roll my eyes at people who say things like 'nothing good has been made in the last twenty years.' That seems like a bit of a cop out." There's little reference in the film to contemporary America: the sharp encounters and omniscient narration throughout give the film a distinctly vintage feel. "I like it in movies" says Jason, "when characters have to meet up and talk, or bump into each other. Sometimes in newer films that would all be solved by a text message. Those older films allow for a different kind of story – but" , he adds, "I'm no means raising the flag for a 'cut-off point' of a certain era. I love all movies. I roll my eyes at people who say things like "nothing good has been made in the last twenty years." That seems like a bit of a cop out." "There's a part of me that doesn’t feel very comfortable on a set"
Schwartzman doesn't have the air of a typical Hollywood star: he's conscious not to sound "highfalutin" when talking about his career. Does he ever feel as awkward on camera, like the characters he's used to depicting in Wes Anderson movies? "There was one awkward moment on the set of Darjeeling Limited. When it came to do it I thought, "Oh my god, I don't even know who this character is! I should have had the best understanding yet of any role I’d had to play, but I didn’t." How did he resolve this artistic crisis? "I was really scared, I freaked out. The first day on set I was just trying my best to get through it. Bill Murray was there watching, and that night he said to me "I really like the way you're playing this character, he's sharp, he cuts like glass." And I thought, "That's it! That's my character!" Bill just kind of observed it, and said this little thing to me: maybe he was assuming I knew that already, but I didn't!" It was a strange moment, when he helped me figure that out." Was Bill Murray an ever-present mentor, offering pearls of wisdom to a young and impressionable Jason? "He's kind of a mentor to the world, I can't claim him as my personal mentor. I feel like we can all learn from Bill Murray. This guy's for the world."